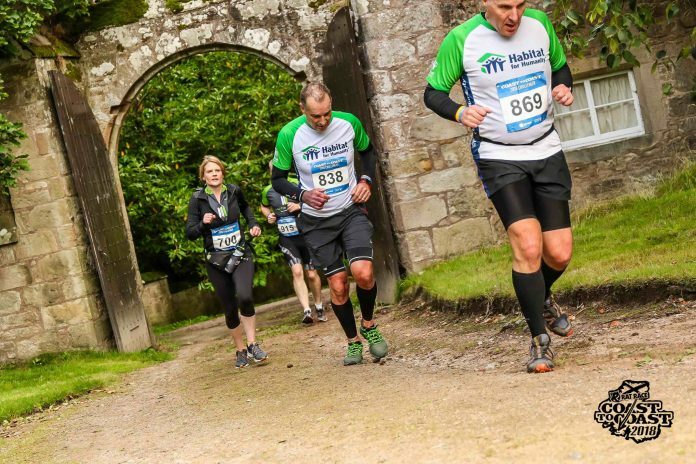 Miller Homes Midlands’ area sales director, Alastair Parsons, braved the elements to raise over £2.5k for global housing charity, Habitat for Humanity. Competing in the gruelling two-day endurance challenge, Coast-to-Coast, Alastair – who is based at Miller Homes’ head office at Pride Park – ran, cycled and kayaked over 105 miles of unforgiving terrain with his running partner Ian Rigby. Starting from the North Sea coast, across to the Atlantic seaboard in Scotland, Alastair completed the race in 13 hours and 18 minutes. Alastair said: “Our marketing message for this year is ‘Let’s Get Moving’, and Ian and I thought what better way to get on board with this than by putting myself through 100 miles of madness! Habitat for Humanity’s focus is on helping lift some of the poorest and most vulnerable people in the world out of poverty housing. Miller Homes has supported the charity throughout the last three years, raising more than £320,000. The Midlands region alone has raised £26,000.